It’s been an eventful year in Home Place, to say the least. Carmel annexed the 1,017-acre community in south central Clay Township in March after a 12-year court battle. Less than four months later, the Carmel Clay Schools board of trustees voted to close Orchard Park Elementary and replace it with a new school 5 miles away in the burgeoning – and much wealthier – west side of town. The city council and school board work independently of each other, and officials from both groups have said the annexation and school closure are unrelated. But for many Home Place residents, the timing couldn’t have been worse. Already disheartened by the annexation, they felt the decision to close Orchard Park was the worst kind of welcome to their new community. Rev. Shelly Wood, senior pastor at Orchard Park Presbyterian Church, helped lead community meetings at the church to discuss the school closure and other issues, and she said the community is resilient and is benefiting from the calming presence of the OPE faculty and CCS Supt. Michael Beresford, whose first day with the district was less than a week after the vote to close the school. She said determining the future of the empty facility will help the community heal. 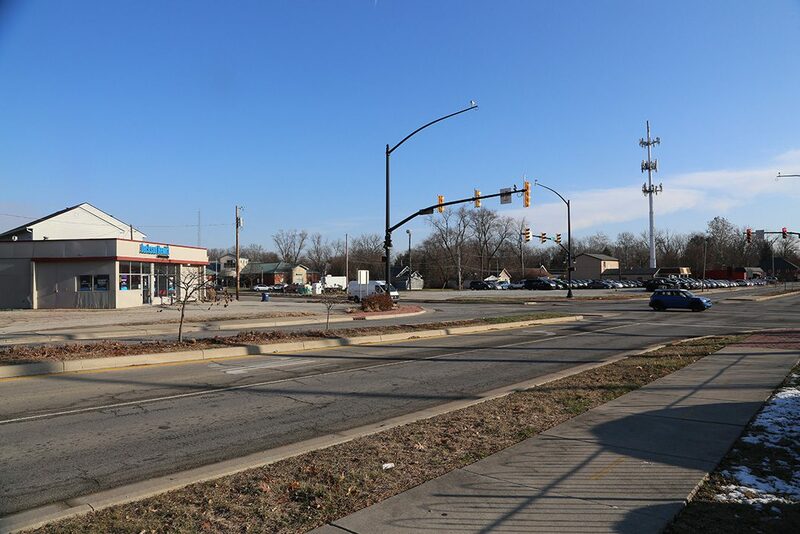 Home Place residents fought annexation for a variety of reasons, including concerns about the tax rate, opposition to Carmel’s debt and the possible use of eminent domain to make way for development. T.J. Silotto, who grew up in Home Place and returned a decade ago to care for his mother, said his neighbors have long valued their independence, a core motivation for many who fought annexation. Greg Lentz, a lifelong Home Place resident who was the Carmel High School valedictorian in 1977, agreed. T.J., who lives with his wife and 4-year-old son in his childhood home, said he’s among a growing number of young families flocking to the area. With so many children in the neighborhood he finds the decision to close Orchard Park puzzling, but he and his wife, Lissa, believe many of the other changes could be good for Home Place, including tougher code enforcement. “I do love the fact that the city is going to come in and make sure some of the biggest offenders are cleaning up their yards,” Lissa said. Carmel began code enforcement in Home Place as soon as the annexation was complete, but other services won’t start until 2019, including Carmel Police Dept. patrols and street maintenance. One thing that won’t change is the area’s ZIP code and Indianapolis mailing address. ZIP codes are assigned by the U.S. Post Office and cannot be changed by city government. A chart showing the breakdown of property taxes in Carmel in 2018. Many Home Place residents fought annexation because of the higher taxes they were sure would come with it. While Carmel’s 2019 tax rate is still being finalized, in 2018 Home Place residents paid a property tax rate of approximately 1.98 cents per $100 of assessed value while Carmel residents paid 2.03 cents. That equates to Carmel residents paying approximately $105 more in taxes for the year for a $200,000 home. 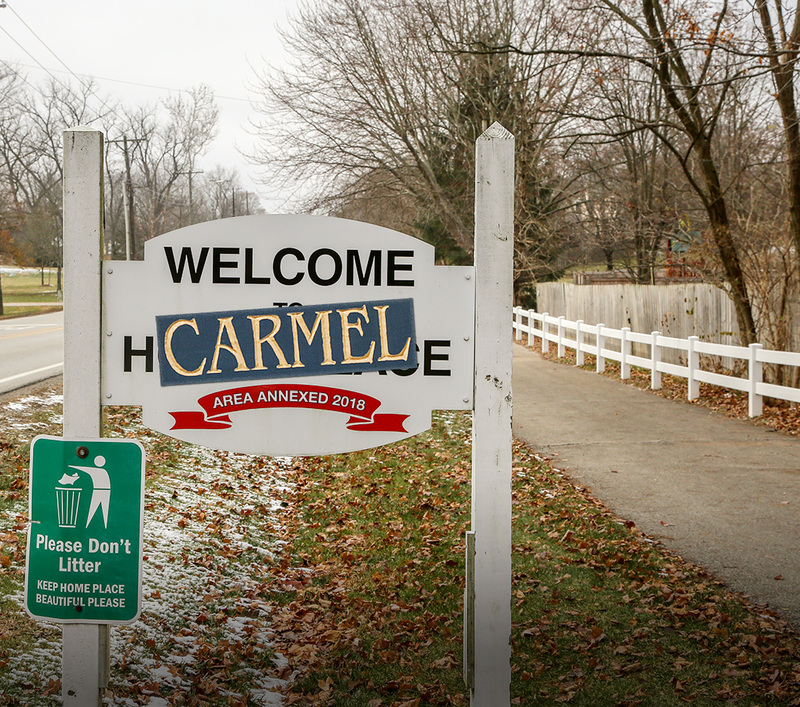 Home Place residents won’t start paying Carmel’s tax rate until 2019, and payments won’t be due until 2020 because of the state’s collection schedule. Matt Milam, a longtime Home Place resident who helped lead the fight against annexation, said the difference in the tax rate could be a burden for some of his neighbors, and he expects it will come as a surprise to many who didn’t closely follow the details of annexation. A chart showing the breakdown of property taxes in Home Place in 2018. “The people who are on fixed incomes or Social Security or aren’t working anymore because they’re retired, it’s really going to affect them more than it affects working people, but it will affect working people, too,” he said. Milam announced in October that he will seek a seat on the Carmel City Council, as Home Place residents will be eligible to run for city offices and vote in city elections for the first time in 2019. Home Place is currently in the city council’s southeast district, which is represented by Jeff Worrell, but a redistricting plan approved in November shifts it to the southwest district, currently represented by Tony Green. Home Place got its start in approximately 1915 with construction of its first house. Today, many of its homes are much older and smaller than those in the rest of Carmel. Those differences – among other things – have led to some Home Place residents feeling targeted by Carmel at times. Carmel Mayor Jim Brainard denied a history of “singling out” Home Place – as the city didn’t have jurisdiction over it until recently – and has expressed several ideas for investing in the area, including roundabouts at several intersections, transforming College Avenue into a boulevard and building mixed-use development on the corner of 106th Street and College Avenue. The city formed a state-mandated Home Place Advisory Board to provide input on how excess tax dollars collected from the area should be spent. Brainard doesn’t expect Carmel to have excess funds, but he’s using the group as a sounding board for his vision for the area. The board was scheduled to have its first meeting Dec. 18.